Termites in general can do quite a bit of damage to homes in the SC area, but Formosan termites are worse than usual. These invasive termites have large colonies that can cause significant damage in a shorter amount of time. 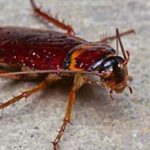 Find out more about these insects, so you’ll know when to get help from a Beaufort County area termite exterminator. What Do Formosan Termites Look Like? Formosan termite workers closely resemble the workers of other termite species. Formosan soldiers have oblong heads rather than rectangular heads, while the winged swarmers have a yellowish-brown appearance and measure about a half-inch in length. Formosan termites, like other termite species, have no discernible waist, unlike carpenter ants. They also have bent antennae instead of straight antennae. Where Do Formosan Termites Build Nests? Formosan termites often build their nests in soil. These nests include many tunnels through which these insects travel back and forth to feed on wood. In some cases, they construct mud tubes in order to go between the soil and homes or other wood structures. When you have an infestation, a Beaufort County area termite exterminator can identify where the nest is, which is a crucial part of controlling these bugs and preventing them from causing more damage. What Is the Life Cycle of a Formosan Termite? These termite colonies have a queen that can lay about 1,000 eggs or more each day. Winged members of the colony eventually leave and swarm, which is when they mate and establish a new colony. This typically happens during the latter part of spring or in early summer. Since queens are able to produce such a large number of eggs per day, these colonies can end up being very large compared to the colonies of native termite species in SC. What Are the Signs of Formosan Termite Damage? How do you know if you have a Formosan termite problem in your home? Knowing the signs to watch for is important, since these termites can cause so much damage over a shorter amount of time. You might have Formosan termites in your home if you notice mud tubes, which are usually along the exterior part of homes. You might also see wing piles near windows. Winged reproductive termites leave these behind after mating. Finding wood damage in your home is another sign of Formosan termites. You might see holes with smooth-sided galleries from where these termites have consumed wood. There are other signs of damage to check for, such as sagging wood or a hollow sound in wooden walls. 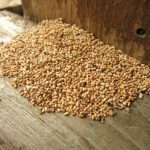 What Should You Do About Formosan Termites? Since these termites stay busy eating the wood in your home, it’s essential to get help from a Beaufort County area termite exterminator as soon as possible. This helps lower the risk of serious damage to your home. The colonies of these termites can number in the millions, so it’s best to leave termite control to the professionals. A Formosan termite exterminator can find where the nest is located and take immediate steps to get rid of these pests and prevent more from coming. How Can I Prevent a Formosan Termite Problem? 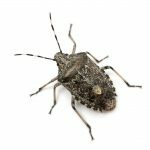 You can do several things to stop these bugs from invading your home. Repairing leaks helps and removing any wood that is moist or damaged in your home can discourage these pests from entering. Keeping piles of firewood away from your home’s exterior can also make it harder for these termites to get into your home. If you have signs of Formosan termites in or around your home, you need reliable help from a Beaufort County area termite exterminator. Contact Island Pest Control today, and our technicians will provide you with dependable termite extermination. Our technicians will find Formosan termite nests and effectively eliminate infestations to prevent additional damage to your home.